Ireland's Tombeau to Debussy will premiere performances of new works by Jane O'Leary, Raymond Deane, Sebastian Adams, Siobhán Cleary, Roger Doyle, Gráinne Mulvey and Benjamin Dwyer. Thérèse has asked each composer to take inspiration from Debussy's works as they compose their piece for this exceptional festival. As artistic director and pianist of Concorde ensemble, Jane O’Leary has been nurturing the development of new music in Ireland and promoting its performance worldwide since 1976. 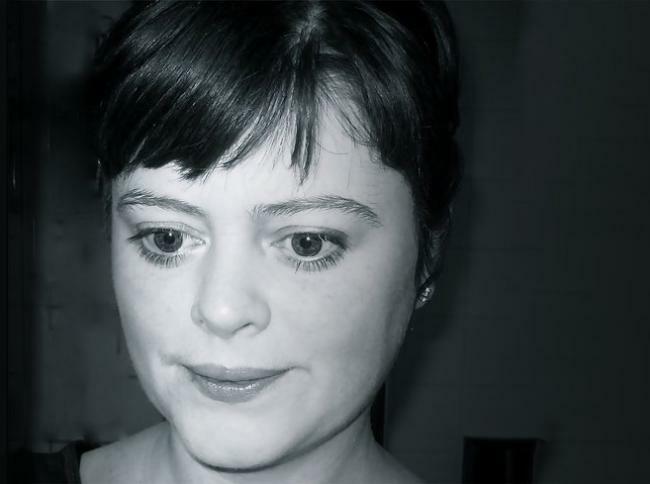 She was a founding member of Music for Galway and is currently a Director of The Galway Music Residency. Following international competition, her music was selected for performance in New York at the MISE-EN Music Festival 2017 and at the Parma Music Festival 2015. Recent performances worldwide have also included Rome, London, Baden (Switzerland), Vittoria (Spain), Chicago, Paris and Bucharest. In 2017 Navona Records released a CD of O'Leary's chamber music performed by members of Concorde and ConTempo Quartet - 'the passing sound of forever'. A CD of her chamber music was released in 2007 on the Capstone label featuring performances by the RTÉ Vanbrugh Quartet, ConTempo Quartet, Concorde, Paul Roe and Garth Knox. Her music also features on CDs with performances by Hugh Tinney (RTE lyric fm), Paul Roe and ConTempo Quartet (Quartz), Amstel Quartet, Concorde (Navona), Isabelle O'Connell (Diatribe), John Feeley and Laura Chislett. Raymond Deane was born in Co Galway, on the west coast of Ireland, on 27 January 1953. From 1963 he lived in Dublin, where he studied at University College Dublin, graduating in 1974. He was a founding member of the Association of Young Irish Composers, and won numerous awards as a pianist. He subsequently studied in Basle with Gerald Bennett, in Cologne with Karlheinz Stockhausen, and in Berlin with Isang Yun. He was featured composer in the 1991 Accents Festival (with Kurtag) and the 1999 Sligo New Music Festival (with Roger Doyle). He has featured in several ISCM festivals (Mexico City, Manchester, Hong Kong), in the festivals l'Imaginaire irlandais (Paris 1996), Voyages (Montreal 2002), Warsaw Autumn (2004), and regularly in the UNESCO International Rostrum of Composers (his Ripieno for orchestra winning a special prize in 2000). He was artistic director of the first two RTÉ Living Music Festivals (Dublin 2002/2004), showcasing the music of Luciano Berio and contemporary French music respectively. He was awarded a Doctorate in Composition by the National University of Ireland (Maynooth) in 2005. 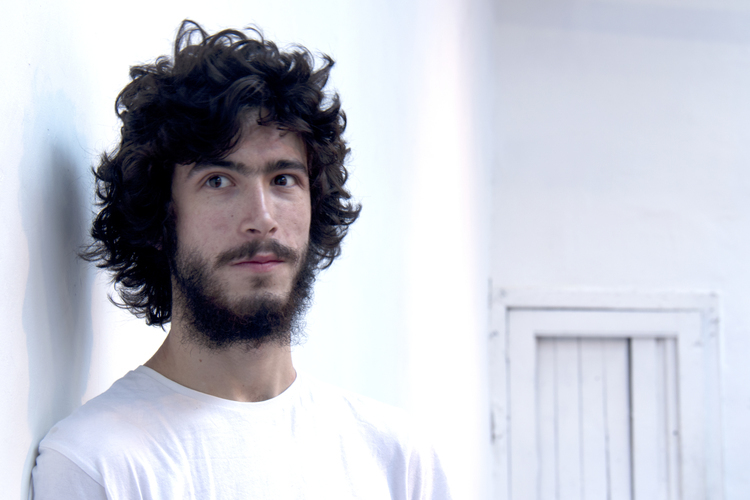 He has been a member of Aosdána, the government-sponsored academy of artists, since 1986. His works have been commissioned by, among others, the Irish national broadcaster RTÉ (for the RTÉ National Symphony Orchestra of Ireland and the RTÉ Contempo String Quartet), the Irish Chamber Orchestra (three times), the Vanbrugh String Quaret, the Callino String Quartet, the Arditti String Quartet, the Schubert Ensemble of London, the bass-clarinettist Harry Sparnaay, the pianist Hugh Tinney (twice), the Danish Nordlys Ensemble, etc. His chamber operas The Poet and his Double and The Wall of Cloud were commissioned by Opera Theatre Company. His full-scale opera The Alma Fetish was given its concert premiere by Wide Open Opera in Dublin in 2013. CDs entirely devoted to his music have been issued on the Black Box, Naxos/Marco Polo, RTÉ, and Resonus Classics labels. In 1992 he published Death of a Medium, a novel (Odell & Adair), and in 2014 In My Own Light, a memoir (Liffey Press). He regularly publishes articles on culture and politics in various print and online outlets. Raymond Deane is based in Dublin and spends part of the year in Fürth (Bavaria). The Contemporary Music Centre continues its 2016 Salon series with Sebastian Adams – solo viola. Sebastian Adams is a busy viola player, especially active in contemporary music, and has premiered over forty works, including pieces by Gerald Barry, Raymond Deane and Ian Wilson. He is chairman of the Irish Composers’ Collective, artistic advisor to the Fishamble Sinfonia and founder and director of Kirkos. Born in Amsterdam to Irish parents in 1991, Sebastian has studied composition in Vienna with Karlheinz Essl and under Kevin O’Connell and Jonathan Nangle at the Royal Irish Academy of Music. He has composed over sixty concert pieces and his music has been performed all over Ireland, including performances at Kaleidoscope and the Hilltown Festival, as well as in Belgium and Austria. Recent commissions have included those from the RTÉ National Symphony Orchestra, the New Ross Piano Festival and Dun Laoghaire Organ Concerts. Other performers have included the Crash Ensemble, Kirkos, The Robinson Panoramic Quartet, Benyounes Quartet, William Dowdall, Kate Ellis, Sarah Watts, Izumi Kimura, Cora Venus Lunny and Andrew Zolinsky. In 1995 she was a finalist in the Yorkshire and Humberside Arts Young Composers’ Award at the Huddersfield Festival. Other awards include a Pépinières Young European Artists award in 1996 for a three-month residency in Bologna and first prize in the Arklow Music Festival Composers’ Competition in 1997. In 1997 a concert of her music was performed at Cité International des Arts in Paris. She is also the composer of several scores for feature films and documentaries. She has worked with the Ciniteca di Bologna writing music scores to restored films. Her orchestral work, Alchemy (2001), commissioned by RTÉ, was performed by the RTÉ National Symphony Orchestra in 2002, and in 2003 she was a featured composer in the Composers’ Choice concert series at the National Concert Hall. Cokaygne was commissioned by RTÉ and premiered by the National Symphony Orchestra, conductor Vladimir Antschuler, in 2009. Theophilus Thistle and the Myth of Miss Muffett, a work based on tongue twisters in different languages was commissioned by the Cork Choral Festival with funds from the Arts Council of Ireland. It was premiered on April 30th 2011 by the National Chamber Choir (directed by Paul Hillier). This work was selected by Paul Hillier to be performed as part of Imagine Ireland, Culture Ireland’s year-long celebration of Irish Arts in the United States in 2011. In 2010 she was awarded a three-month residency in the Culturel Centre Irlandais in Paris. She is the founder of the New Sound Worlds concert series and in 2015 she founded the Evlana Sinfonietta. She is currently composing an opera based on the Angela Carter stories “Vampirella and A Company of Wolves” which will be performed as part of the Royal Academy of Music Opera Briefs in 2017. In 2008, she was elected to Aosdána, Ireland’s state-sponsored academy of creative artists. After leaving school Roger Doyle attended the Royal Irish Academy of Music for 3 years studying composing, during which time he was awarded 2 composition scholarships. ‘I am a composer’, he thought. His works ‘4 Sketches’ and ‘All the Rage’ won respectively second and first prizes in the Dublin Symphony Orchestra’s composition competition, receiving performances when Roger was in his early 20s. Around this time he was also teaching piano (composing ‘6 Pieces for Pupils who Don’t Like Exams’), and being a drummer in jazz/rock and experimental improvisation groups. Since then Roger has worked extensively in theatre, film and dance in particular with the music-theatre company Operating Theatre which he co-founded with actress Olwen Fouere. Operating Theatre released singles with CBS and Mother Records in the 80s – the latter produced by Bono of U2 – and also mounted many theatre productions integrating music as an equal partner. In his 30s he worked in many styles, allowing the influences of pop music to filter through. He was one of the first people in Ireland to work on a Fairlight Computer Music Instrument. In 1990, at the age of 40 he began his life’s work BABEL. In 1999 he set up the Silverdoor label and released BABEL as a 5-CD set, where each track corresponds to a room or place within a giant tower city. It is a celebration of the multiplicity of musical language and evolving technologies. In 2000 the CD UNDER THE GREEN TIME was released, a collaboration with the Netherlands Wind Ensemble; as was a CD of the piano music which Doyle composed and performed for the Steven Berkoff production of SALOME, which played in Dublin’s Gate Theatre, in London’s West End and on three world tours. From 2002-07 he worked on a large-scale electronic work PASSADES, released on 3 CDs on Dutch and German labels. In 1997 he won the Programme Music Prize (with Spirit Levels I-IV from Babel) and in 2007 the Magisterium Award (with The Ninth Set from Passades) at the Bourges International Electro-acoustic Music Competition, in France. Recent albums are: 2 soundtracks for imaginary films – a cinema for the ear: ADOLF GÉBLER CLARINETTIST and THE ROOM IN THE TOWER (for the National Symphony and Crash Ensemble respectively, with pre-recorded acted scenes); TIME MACHINE (music composed around old answering machine messages), THE THOUSAND YEAR OLD BOY (imagined world musics) and GRANDFATHER CLOCK (music composed for grandchildren). His full-length electronic opera HERESY (or, The Death By Fire Of Giordano Bruno) was premiered in Dublin in November 2016, and he completed the album FRAIL THINGS IN ETERNAL PLACES for electronics, software instruments, improvised and scored vocals, earlier in 2016. Roger Doyle is a member of Aosdána, Ireland’s state-sponsored academy of creative artists, and is Adjunct Professor at Trinity College, Dublin. Gráinne Mulvey was born in Dublin. She studied under Professor Nicola LeFanu and gained a DPhil in Composition at the University of York in 1999. She also holds an MA in Composition from Queens University, Belfast and a BA (Hons) Degree from Waterford Institute of Technology, under Dr. Eric Sweeney. She was appointed Head of Composition at Dublin Institute of Technology Conservatory of Music and Drama in 2001 and has wide experience of teaching from beginners to doctoral level. She has acted as external examiner for both undergraduate and postgraduate composition at Trinity College Dublin, the Royal Academy of Music and WIT. She has also been involved with composition outreach educational workshops and advanced composers’ composition projects during 2012, 2013. She was appointed as one of the Course Directors of the IMRO Summer School of Composition in 2014 and will be for the 2016 course. In 2001, 2010 and 2011, she was on the adjudicator’s panel for the Guido d’Arezzo Composers’ Composition Competition in Italy. She has curated concerts for the Contemporary Music Centre, Ireland in 2011, 2012, the Association of Irish Composers in May 2016 and a retrospective concert of her work at The Carlow Arts Festival in June 2016. She has also been on many discussion panels involving composition. Her cello and tape piece Syzygy has been reviewed in Musicology Review Vol 6 and her Trinity Fanfare for two trumpets and organ is published by Prairie Dawg Press, New York. Her two choral works Dead Earth and Sanctus are due to be published by Sulasol Press. Several of her works are now published by the French company, Babel Scores Online. Her trio bassoon piece Rí Rá is also due to be published by Prairie Dawg Press. She is listed in The Encyclopaedia of Music in Ireland UCD Press. Her music has been widely performed both in Ireland and abroad and she has received many broadcasts of her work by radio stations across the globe. One of her earliest works Étude, for piano (1994), was selected for that year’s International Rostrum of Composers in Paris, an honour that was to be repeated with 2004’s orchestral work Scorched Earth, and in 2015 with Diffractions for orchestra, in Slovenia. She was a featured composer in the 2007 Horizons concert series, with the RTÉ National Symphony Orchestra, conductor Robert Houlihan, performing three of her orchestral works. She has the distinction of being selected for the ISCM World Music Days in consecutive years with Akanos, for orchestra (Lithuania, 2008) and Stabat Mater, for 17 voices a cappella (Växjö, Sweden, 2009). She has won various prestigious competitions, notably the RTE Young Musician Of The Future (Composers’ class,) in 1994, the Sligo International Festival Composers’ Competition, in 1999 and the St. John’s Memorial University Award, Waterford and Newfoundland in 2003. She received a “most distinguished musician and special mention” at the IBLA International Foundation Competition in 2016, among others. She has received commissions and performances, notably from Concorde and Jane O’Leary, (who have championed her music both in Ireland and abroad, receiving four commissions from this ensemble), the RTÉ National Symphony Orchestra, the Ulster Orchestra, the Northern Sinfonia (UK), the Romanian Radio Chamber Orchestra, the Lithuanian National Symphony Orchestra, the Hradec Králové Philharmonic Orchestra (Czech Republic), Orchestre De Lorraine, France, pianists Cheryl Pauls (Canada) and Slawomir Zubrzycki (Poland), Matthew Schellhorn, (UK), David Bremner, (UK), soprano Elizabeth Hilliard, the Chamber Choir Ireland, the Bruce Gbur Bassoon Ensemble (USA), the Tampere Raw Ensemble (Finland), trombonist Barrie Webb, BlackHair (UK), the Sepia Ensemble (Poland), flautist Joe O’Farrell, cellist Martin Johnson, (principal, RTÉ National Symphony Orchestra), Palomar Ensemble (USA) with both Arachnid, and then Interstices performed in Feb. 2013, among others. She has attended many composition courses over the years, studying with Peter Maxwell Davies, Jonathan Harvey, Louis Andriessen, Kaija Saariaho and Boguslaw Schaeffer to name but a few. Both Scorched Earth and Akanos have been broadcast widely throughout the world, and she was the subject of an in-depth profile on Swiss Radio in 2008 and a programme of her major orchestral pieces was aired by Slovenian Radio in 2009 and by Bernard Clarke of Nova, RTE Lyric FM in 2015. Horizons Series 2015 featured two orchestral works: Diffractions (2014) and Excursions and Ascents, (2014), a cello concerto for Martin Johnson, which were performed by the RTE NSO, conductor, Gavin Maloney. Two of her pieces: Sextet Uno and Rational Option Insanity, have been recorded by the Concorde Ensemble, on the Black Box label in 1999. Her Soundscape for violin, cello, percussion and tape, was issued on CD by the Avantgarde Akademie in Schwaz, Austria in 1996. Akanos was included on the CD Contemporary Music from Ireland, Vol 7 (CMC). Her piece Calorescence, (2013), for piano is released on the new CMC label: New Music: New Ireland Vol. 2. The Gothic CD released by the pianist Mary Dullea includes her piece Étude. Phonology Garden and Eternity Is Now, recorded by soprano Elizabeth Hilliard, is released on the Metier Label. Her portrait CD Akanos is out on the Navona label Cat: NV5943 by PARMA Recordings Llc, since February 2014. Her music has been performed in the UK, Poland, France, and Japan during 2015. Other performances are due to take place in Cyprus, UK and US during 2016/17. She is represented by the CMC Ireland, AIC, IMRO, IAWM, (International Alliance for Women in Music,) Donne In Musica and is a member of Aosdána, Ireland’s organisation of creative artists. Benjamin Dwyer’s music is forged from an intensive amalgamation of technical, improvisatory and interpretative elements. Experienced at the intersection of performance, gesture and compositional praxis, his music is further enriched through its deep immersion in ritual and symbol. His works have been performed worldwide by renowned musicians and ensembles. As a classical guitarist, and a major exponent of contemporary music and free improvisation, Dwyer performs worldwide and has appeared as soloist with all the Irish orchestras, the Neubrandenburg Philharmonic (Germany), the Santos Symphony Orchestra (Brazil), the VOX21 new-music ensemble, the Callino Quartet (UK) and the Vogler String Quartet (Germany). He is a member of Barry Guy’s Blue Shroud Band and TIN (the UK-based Transdisciplinary Improvisation Network). Recent compositions and performances include Umbilical, which was written for Maya Homburger, Barry Guy and David Adams, and is a nine-movement version ofSophocles' Oedipus Tyrannus. Scenes from Crow is an amplified mixed-ensemble work inspired by Ted Hughes’s Crow sequence; both are released on Diatribe Records. Twelve Études for guitar (recorded by the composer on Gamelan Records) has been described by Fabio Zanon as the ‘summation of an entire guitar epoch’. Imagines obesae et aspectui ingratae was written for violist Garth Knox; a recording appears alongside a specially designed limited edition of the score in hard-back published by New Dublin Press. The Fidelio Trio premièred Nocturnal, after Benjamin Britten at King’s Place London in October 2015. Dwyer featured as a performer in the Krakow Autumn Jazz Festival 2014 and 2016 as a soloist and in small ensembles, as well as with the Blue Shroud Band. KnowingUnknowing, a work for improvised music and dance (with Helen Kindred), was premiered at London's InsideOut Festival in 2016. 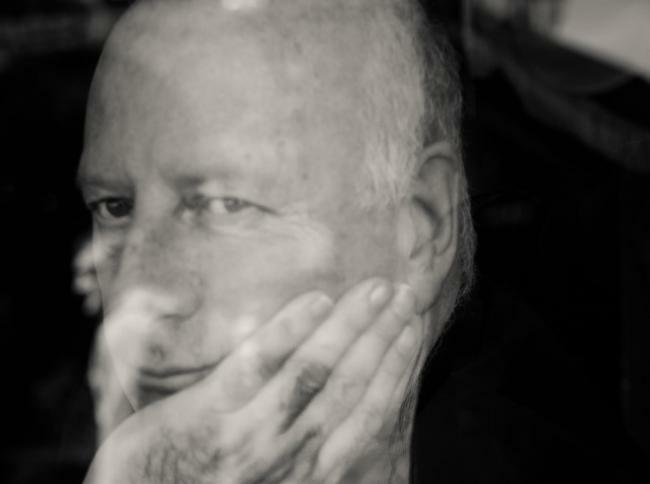 Dwyer's latest composition, Sobre los Ángeles, a song cycle for soprano and guitar on poems by Rafael Alberti, premiered at the Barrow River Festival in April 2017 with Sylvia O'Brien. Chiefly informed by continental philosophy, and postcolonial and feminist theory, Dwyer has written extensively on music exploring themes such as Irish art music, the intersections of performance and compositional practice, improvisation, the classical guitar, and music as myth and symbol. He specialises in the works of numerous Irish composers, György Ligeti, Benjamin Britten and Barry Guy among others. Book publications include Britten and the Guitar: Critical Perspectives for Performers (Carysfort Press, 2017); Different Voices: Irish Music and Music in Ireland (Wolke-Verlag, 2014); and Constellations: The Life and Music of John Buckley (Carysfort Press, 2011). Book chapters appear in New Perspectives on Ligeti (forthcoming): eds. Dwyer and Marx (Rochester University Press, 2018) and György Ligeti: Of Foreign Lands and Strange Sounds, eds. Marx and Duchesneau (Boydell & Brewer, 2011). Articles include “Theodor Adorno and Alban Berg: Correspondence: 1925–1935,” (The Musical Times, 2007); “Joycean Aesthetics, Ethnic Memory and Mythopoetic Imagination in the Music of Frank Corcoran,” (Colony, 2014); and "'Dios los cría’—Barry Guy and Maya Homburger,” (Music & Literature, 2014). Dwyer is an elected member of Aosdána (the Irish government-sponsored academy of creative artists) and an Associate of the Royal Academy of Music, London (ARAM). He is currently Professor of Music at Middlesex University, London.